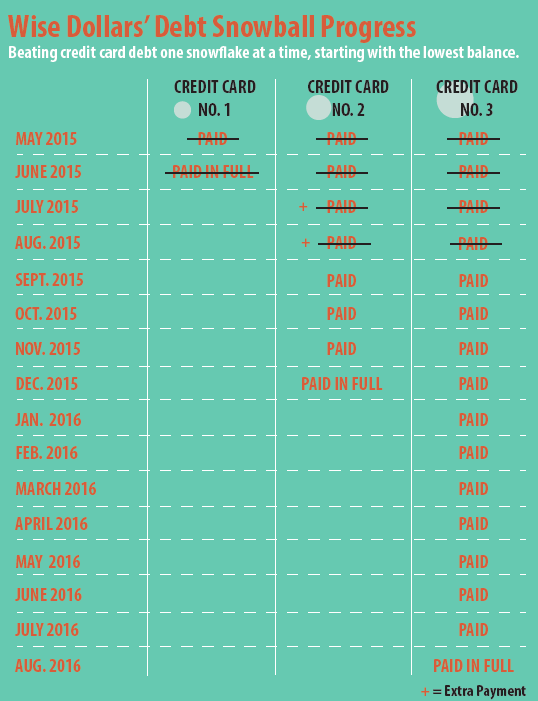 Slaying my credit card debt is one of my top goals. I plan to be well done before my 30th birthday. What a great gift, right? I discussed this with a friend as we were kayaking, and he thought that was a great goal. Then he told me that he had discussed maxing out his Roth IRA contribution with his girlfriend and encouraged her to do the same this year. Apparently, his girlfriend’s parents offer a matching contribution. I wish my parents were in a position of wealth and power to offer those types of incentives for me and my brothers. It made me think about the legacy I want to leave and why it’s important to stop paying for past mistakes (credit card debt) as soon as possible, so I can start investing more money for the future. During my mid-year checkup with my financial planner, he grew concerned at my aggressive debt payoff strategy. I’m paying $350 more than the minimum on those cards. He’d prefer that I shuffle over more money into the Roth IRA. Who knows how long the government will keep that option available? I definitely here what he’s saying. Plus, I’m starting to feel the pinch. Medical bills are rolling in from my surgery 10 weeks ago, and it seems as if my car, Penny, is guzzling up a good amount of gas. My small pot of discretionary income seems to be shrinking mightily, so I’ve started taking out a weekly allowance in cash to live on. Living on cash again is an eye-opener! But I remain steadfast in my resolve because it will only take four months to get rid of Credit Card No. 2. Then just another 6 months or so to get rid of the third and final card. The first week of January has been interesting. I’ve been making money moves. On Friday the 2nd, I sat down and revisited the budget format from Michelle Singletary’s 21-Day Financial Fast. Budgeting is scary! OK, maybe not. I was trying to give every dollar a job and scared myself by almost getting down to $0, which wasn’t my intent. The zero-based budget is when income minus outgo equals zero. So in comes $3,000, and out goes $3,000 to saving, investing, paying bills, buying groceries, etc. I like having a little wiggle room, which is probably why I’m adverse to budgeting. I am going to run up my spending tab at the end of the month to see how I stack up to my budget. Should be interesting. Day One was about setting three main financial goals and sharing them with the rest of the Live Richer community or an accountability partner. Good thing I had already thought of mine. It was so great seeing all of the goals from fellow black women. They aim to do everything including raising their credit score by a certain number of points, save for a trip to Brazil, save for emergencies, increase their income and get out of debt. We have so much in common. Today’s prompt prompted us to read “Seven Cures for a Lean Purse” in The Richest Man in Babylon book by George Clason. Then The Budgetnista requested that we share our favorite “cure” with the community, and how we’d use this “cure” to grow wealth. I read the seven cures parable over my lunch break and was mesmerized. This book was first published in 1926. All of these principles for managing your finances still ring true. Amazing! 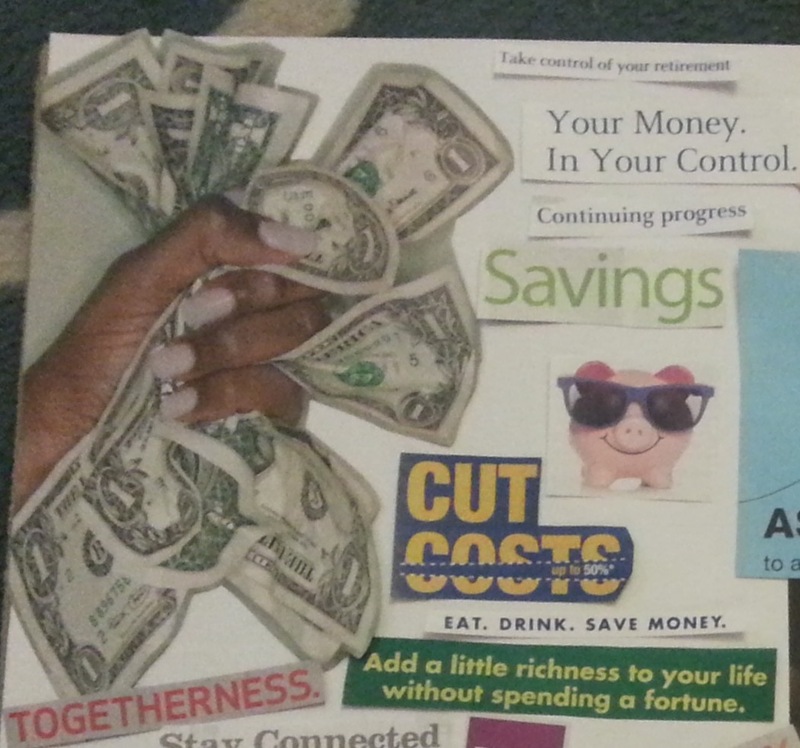 Start thy purse to fattening: Save 10 percent of your income. This story is chock full of gems. Deride not what I say because of its simplicity. Truth is always simple. Which desirest thou the most? Is it the gratification of thy desires of each day, a jewel, a bit of finer, better raiment, more food; things quickly gone and forgotten? Or is it substantial belongings, gold, lands, herds, merchandise, income-bringing investments? The coins thou takest from thy purse bring the first. The coins thou leavest within it will bring the latter. He must pay his debts with all the promptness within his power, not purchasing that for which he is unable to pay. He mush have compassion upon those who are injured and smitten by misfortune and aid them within reasonable limits. He must do deeds of thoughfulness to those dear to him. Preceding accomplishment must be desire. Thy desires must be strong and definite. General desires are weak longings. For a man to wish to be rich is of little purpose. For a man to desire five pieces of gold is a tangible desire which he can press to fulfillment. As a man perfecteth himself in his calling even so doth his ability to earn income. I say to you that just as weeds grow in a field wherever the farmer leaves space for their roots , even so freely do desires grow in men whenever there is a possibility of their being gratified. Thy desires are a multitude and those that thou mayest gratify are but few. After work, I saw my financial advisor and discussed my current outlook and goals. He lauded me on the decisions I’d made thus far and the fact that I paid off four small debts in 2014 and had a clear plan to rid myself of more debt. For my age, he said, I’m doing fine. Some folks have $30,000 in credit card debt, he said. Having a mindset to get rid of it as soon as possible is commendable. The meeting was a great way to end the day. The future looks bright as long as I stick to the plan.